Full Day East Bali Tour is a Bali Full Day Tour packages we designed to explore the tourist destination in eastern part of Bali islands with is unique social activity life and the amazing view of tourist destination will be visit. Is awesome journey to know more about the beauty of Bali islands. First journey during east Bali tour is visiting Kerta Gosa is justice court building during empire of Klungkung, then visit the beautiful Goa lawah temple or more known as the bat cave temple located near the beach, the unique in this temple is there a cave where thousand bat hanging up in the cave. Then continue the tour to visit the Tenganan village is the traditional village in east Bali which still used the old traditions, ceremonies and rules of ancient Balinese, and its unique village layout and architecture. The east Bali tour continue to visit the Taman Ujung water palace, is beautiful water palace was built by King Karangasem for recreation place for royal family and then we will stop at local restaurant for having lunch with Indonesian food, after lunch we will continue the east Bali Tour to visit the last site in this packages is the Tirta Gangga Park is the water palace with beautiful setting and the function was same like Ujung water palace is for recreation park for royal family. Is great full day tour to east Bali we offer to complete your journey in this amazing islands, The Bali Highland tour will using private car and English speaking Bali driver to make your more convenient during the amazing full day east Bali. 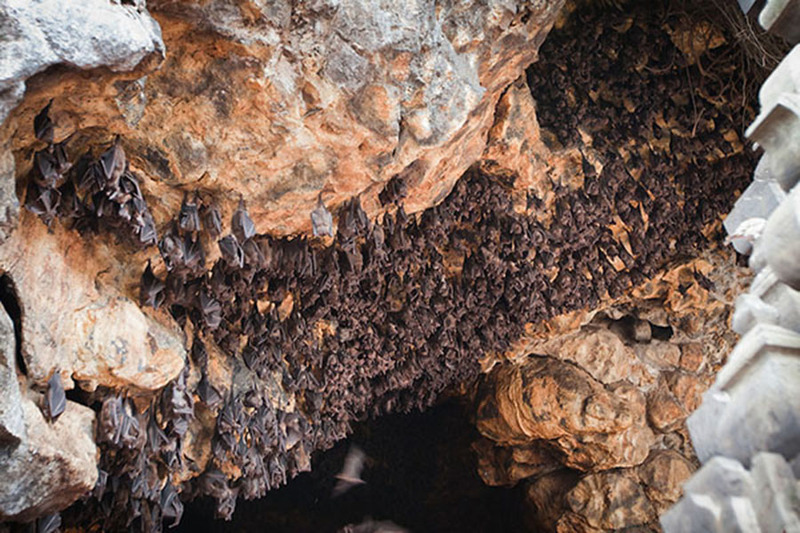 Goa Lawah Temple is a shrine cave where thousands of bats have a nest inside of this cave. The temple itself is built just in front of a cave opening in the coastal cliffs. The cave is home to thousands of fruit bats, and according to legend, a giant dragon-like snake called Basuki also makes the cave its home. 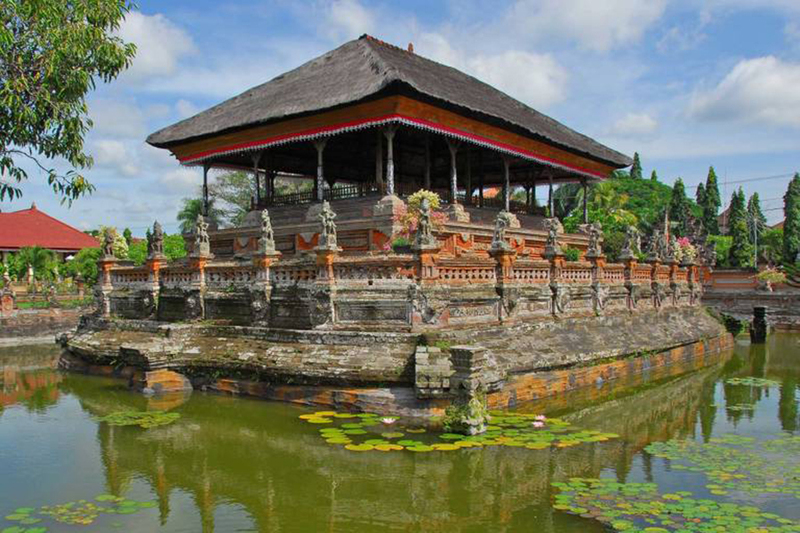 Goa Lawah is Bali’s most important temple for matters pertaining to the afterlife. Tenganan is a village in the regency of Karangasem in Bali, Indonesia. Before the 1970s was known by anthropologists to be one of the most secluded societies of the archipelago. Rapid changes have occurred in the village since the 70’s. 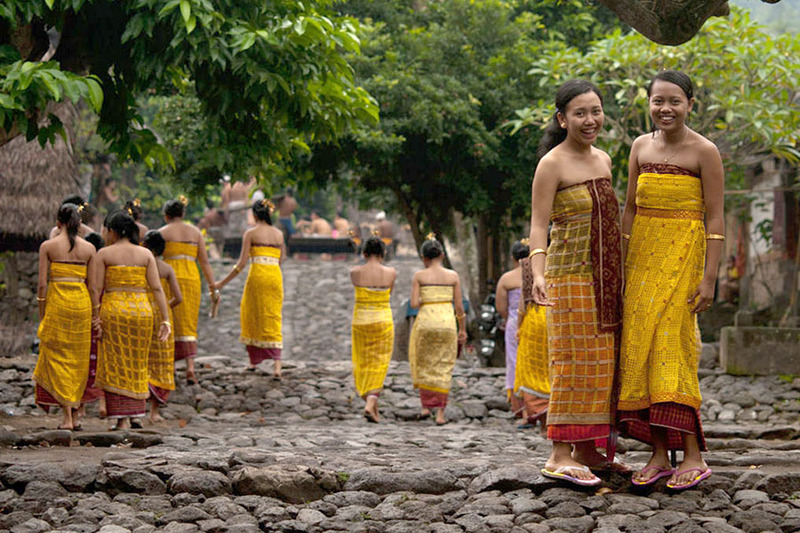 The unique Bali Aga culture that still holds to the original traditions, ceremonies and rules of ancient Balinese. 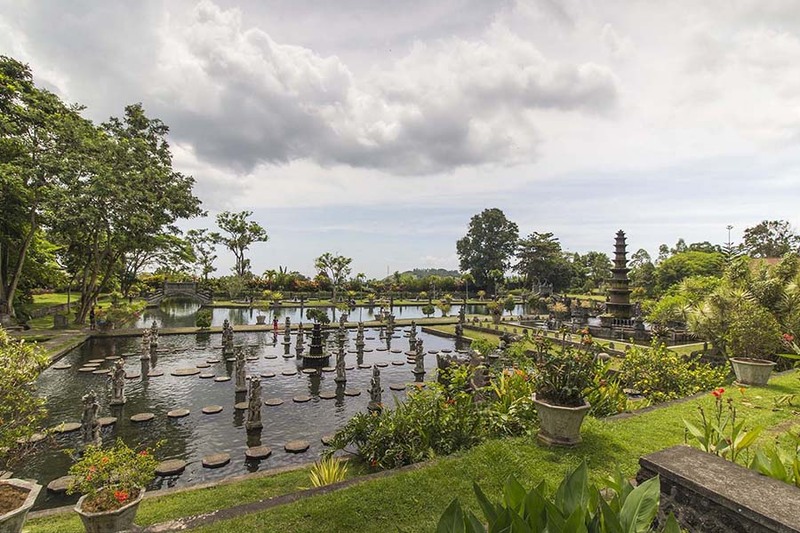 Ujung Water Palace is beautiful garden with fish pond surrounding the old building that is one of Karangasem Empire’s omissions which has the high artistic value and history. Was built in 1909 by the King of Karangasem, I Gusti Bagus Jelantik, who holds Anak Agung Agung Ketut Karangasem Anglurah. This palace is a privately owned by Karangasem Royal. 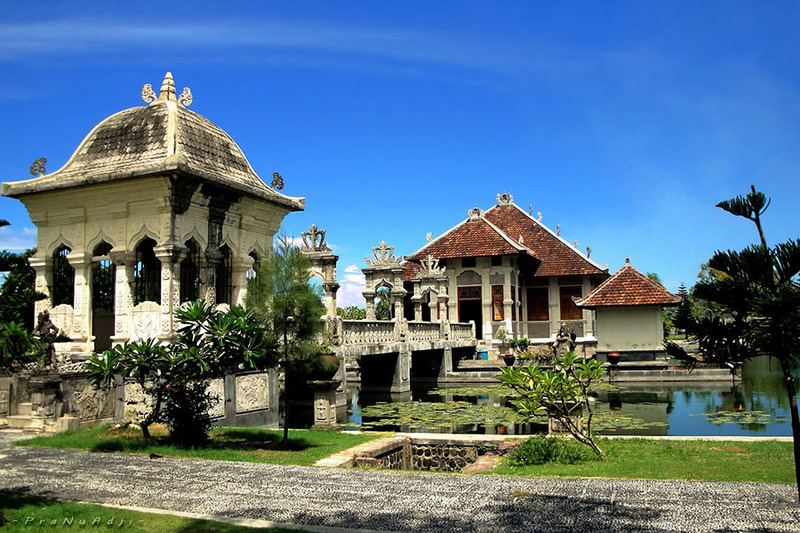 Tirta Gangga water palace is a maze of pools and fountains surrounded by a lush garden and stone carvings and statues. Tirta Gangga literally means water from the Ganges and it is a site of some reverence for the Hindu Balinese. Strictly, the name refers to the water palace built in 1948 by the King of Karangasem. The name widely used to refer to the general area.